Awesome yummy looking semi homemade muffins. Will definetly have to give them a try. TY! Girl, thanks for the semi homemade muffins!! I like to bake often, but most of the time I don't have time to make things from scratch. So this is perfect!!! Still easy, and semi homemade!!! :) Your the best!! nummy! Love the song you have on here too! Smooches to you girl! Oh Girlie!! Do I have a muffin recipe for you! Email me, and I'll get it to you! 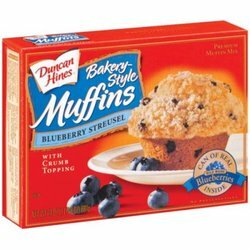 Tried the muffins and I LOVED them, the cream cheese filling just made them PERFECT!! I am hooked on your recipes, keep them coming. Your recipe card for the sugar cookies has vanished, if you get a chance to post it or email me it I'd LOVE it. Do you have any great frosting recipes? thanks thanks thanks!!! Ooooh! Thanks for the Yummy, yummy recipe! Girl, first can I just tell you... I"m the same way about banana bread! I tried a dozen recipes but it was never PERFECT! Thn one day, I bought a packaged box, mashed up 3 bananas.... uh, HEAVEN! They were the bestest I have ever had! Second, I know I"m a little late with this seeing as that you have already made it to the LAST ROUND of the contest! I had no doubt baby! You so totally rock and I LOVE your work! Rock on sweety pie! Great Idea to take the pressure off yourself for the contest. If you don't make it, then GREAT ~ you still have a totally awesome layout! That's how I had to think when I entered HOF this year! Your latest layout is awesome! Because of you, I've downloaded digital kits. My friends will be shocked! Good luck with this layout! Your week 4 entry was the best! Pure color therapy. If they don't move you to week 5 they need Lasix! I'm not one to go on and on unless I mean it! Oh man, that filling sounds SO yummy. I definitely have to try this recipe (I trust you....I do make Bertolli a weekly thing now. LOL!) So funny that it was a mix that you've been trying to duplicate. Erick's Mom had a spinach dip recipe that Erick just gushed about. "My Mom's spinach dip is the best in the world." She made it for him every year on his birthday. It was his favorite. So when we got married, he asked her if we could have the recipe. She wrote it out for me and gave it to me. One of the ingredients was Knorr's Vegetable Soup Mix. So we picked it up and what is on the back of the soup mix box? The EXACT recipe!! LOL! So when Erick confronted his Mom about her "special secret spinach dip recipe" she just shrugged and said "Well I figured why spoil it for you. You always seemed so impressed." LOL! Thanks for sharing this great recipe. I made 2 batches this week, and just love them! Making these for our Santa brunch tomorrow. Yum! Hope your having a wonderfulholiday season!!! Hugs & Well wishes!! !